Our local area of Southern Missouri and Northern Arkansas is one of the largest cattle producing areas in the country. There is no doubt we are in the heart of cattle country and cattle nutrition is our Number 1 priority. We feature a wide variety of Purina Cattle products that will help you get the most out of your cattle operation. We also offer our own brands of cattle feed made with the highest quality ingredients that will deliver results. 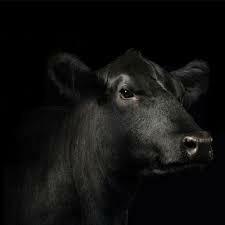 When it comes to cattle, we have the knowledge, the experience and the products to make you successul. Check out this video to see why Purina Wind and Rain Storm Formula Minerals out-perform all other minerals on the market! Can you do better? That's always a question to be asking. Recently, Sean Blair with Tommy Porter's farms was aking the same question. The cattle were doing ok, but he thought they could do better. 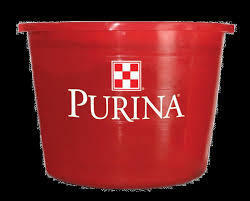 After re-examing thier genetics and vacination program, they turned to their nutrition program and decided to give Purina a try. Within a few months, mineral consumption was optimized and the prior inconsistancies were gone. Within 9 month they were able to see that conception rates were even higher than before. As a bonus, Sean noticed that weaning weights were also higher. When asked what advise he would give, Sean said, "You've go to be open minded and be willing to see what's new out there. Don't ever close the door and think you have everything figured out or that you can't do better than what you're doing now. You've got to be open to trying." You can see results like Sean if you switch your mineral and nutrition to Purina! Call us today and find out how! 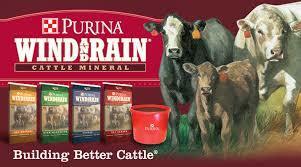 Purina Wind and Rain Minerals are the most fed and most trusted mineral brand in America. 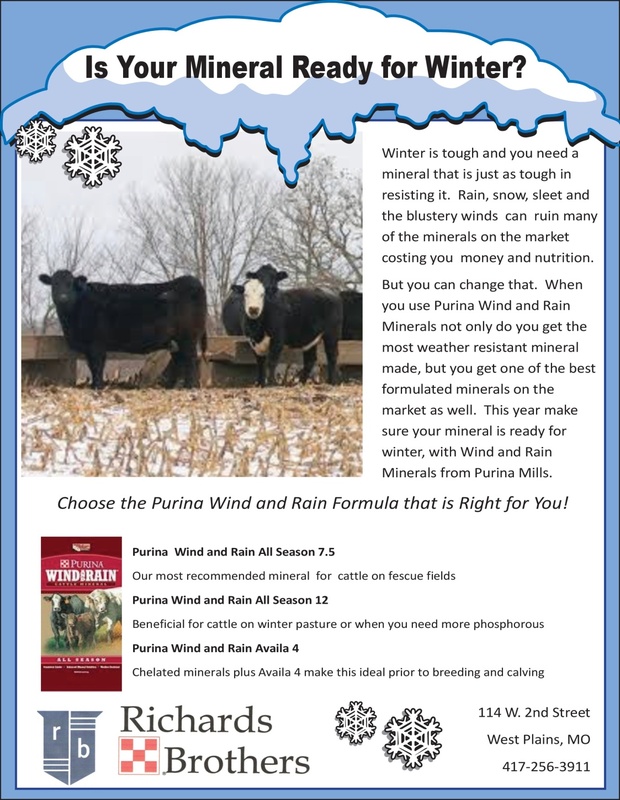 More weather resistant than any other mineral Purina Wind and Rain Minerals deliver the nutrients your cattle need in the right ratios. Your cattle are special to you, but the bottom line is they still need to deliver a profit. The ability to get your cattle to eat less feed and more pasture is the most profitable operation model there is, and that's the science behind Purina's Intake Modifying Technology feeds. More gain on less feed gives you more money! 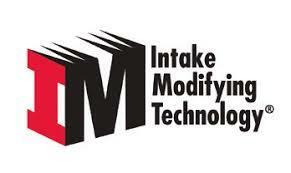 Come in and find out more about Intake Modifying Technology feeds! Get more from you pasture while supplying just enough feed to keep your cattle growing profitably. 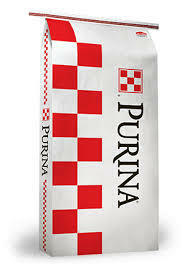 These 25% protein and 10% hi fat tubs are Purina's latest product in the Intake Modifying line. 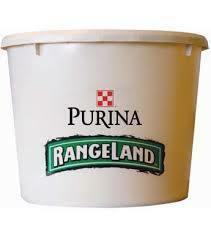 Purina Rangeland Protein tubs give your cattle the extra protein, minerals and vitamins they need that they aren't gettign from you pasture. Low consumption means these tubs are very affordable and deliver just what the cow needs. You only get one chance to start your calves off right and Purina weaning rations are a proven program to get your calves through the weaning process healthy and on their way to to a productive animal. Richards Brothers also has our own line of cattle feeds sure to meet your needs. From commodity mixes, salt mixes to Super Stock and All Grain, we have a cattle feed that will work for you.